We plant it, nurture it, harvest it, ship it, and buy it; then we throw it away. Research from Natural Resources Defense Council (NRDC) shows that Americans throw away $165 billion worth of food every year that we could otherwise eat. This amounts to more than 20 pounds of monthly food waste per person, which is a level 10 times greater than in Southeast Asia. Food is not all we’re wasting, as the land, energy and chemicals needed to produce that food go to waste as well. Even space is wasted, with the discarded food bloating landfills and producing about 25 percent of national methane emissions. Water is also going down the drain, since producing the wasted food accounts for 25 percent of national fresh water consumption. While this is occurring, one in six Americans are without a secure food supply. 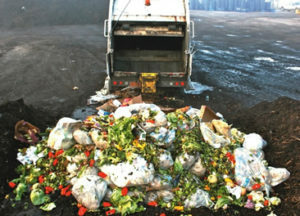 According to the NRDC study, 15 percent of this wasted food could feed more than 25 million Americans every year. This problem has several causes. One is a widespread misunderstanding of date codes. Others are overstocked store shelves, oversized restaurant portions, and a desire to bring to market only food that has the “correct” look, even though this “incorrect” looking food is healthy, safe, and delicious. As food is relatively cheap, it is also easy to throw away. In addition, when people buy more food than they eat, it means more sales for food producers. These factors create a situation with little incentive for change at any level. At GoodFarms, we are working hard to reduce food waste from field to fork. Specifically, we are working with progressive retailers and restaurants to offer our “imperfect” produce, often at substantial savings. We are searching for new ways to use our “imperfect” produce, including fresh juices and salsas. We are fighting for better labeling laws and practices. And we work with food banks to donate excess food to those in need.